I was provided the opportunity to visit this farm with the Diary Council of AZ through a campaign with Blended Extended. All opinions are my own. If you follow me on social media, you may have seen a few pictures from a recent dairy farm tour. Some of you may even be thinking, “they have dairy farms in Phoenix?” I know …. I said the same thing! The middle of the desert is the last place I would think to see dairy farms, but there are actually quite a few in the area! Actually, Arizona is home to 100 dairy farms and over 190,000 cows!! Of those 100 dairy farms, 98% are family owned and operated! Unlike “barns” you may see in other parts of the country, Arizona dairies have barns that are specifically designed for our hot summers. Arizona dairy farmers use special barns called “Saudi Barns” that are equipped with fans and misters to help keep the cows cool. In fact, the cooling system works so well that it can be up to 30 degrees cooler in the shade of the barn! The kiddos and I had the opportunity to meet up with a few other Phoenix area bloggers and their families at one of the local dairy farms. The Caballero Dairy Farm was established in 1957 and moved to its current location in Eloy, Arizona in 2006. Let me tell you, that little glimpse we got into the life of a dairy farmer really puts a few things into perspective for me. There are countless measures in place to ensure the safety of our food supply! From entering the farm all the way until you purchase the dairy products at the store, everything is monitored! 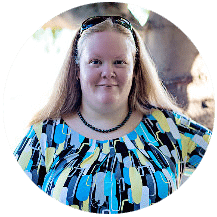 As a mom, I try to be conscious of the food I give my family. There is a lot of hype about antibiotics and hormones given to livestock. It was reassuring to find out that the cows in Arizona are not treated with artificial hormones. When cows get sick and need medicine like antibiotics, they are separated from the rest of the herd and their milk does not enter the food supply. They must be completely clear of all antibiotics before they can return to the herd. Because the health of the cows is so important, veterinarians play a vital role on the dairy. Vets visit frequently to make sure the cow are healthy! Just like humans, a healthy diet is also important for dairy cows. What you put in them is what you will get out of them. Did you know that dairy cows also have cow nutritionists that help create healthy eating plans for cows, depending on their different needs? For example, a pregnant cow is fed differently than the rest of the herd due to her additional nutritional needs. Speaking of eating, guess how much food a cow eats in a typical day! Cows can eat up to 100 pounds of food and drink over 50 gallons of water every day!! With such a healthy diet, comes lots of milk – cows can make up to 100 glasses of milk per day! During our trip to the Caballero Dairy Farm, we learned that the Arizona Dairy Co-op is the second largest producer of blue cheese in the United States! It only seemed fitting for me to share a recipe highlighting blue cheese, don’t you think? I was tempted to share a recipe with cheese curds, but those don’t last long around my house! Oops! By the way, if you’re in the Phoenix area, find some of the Jalapeno Cheese Curds from the Arizona Cheese Company in Tempe! You can thank me later! They are totally the bomb-dot-com. 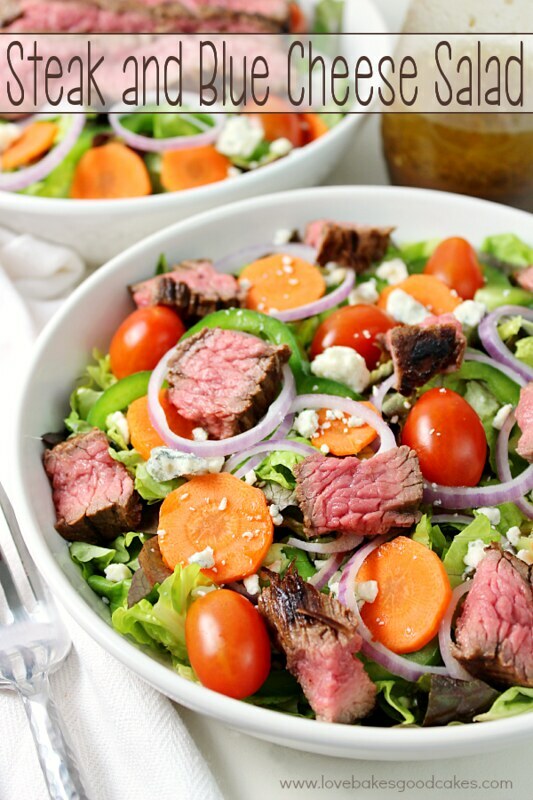 This Steak and Blue Cheese Salad is so simple, quick and delicious! And, it’s healthy! Not only is this great for a quick weekday dinner, but it’ll be great when the temperatures are blazing hot outside this Summer. You know how it is. You really don’t want to cook … but, you still need to eat! 🙂 It’s not a heavy meal and you can easily add things your family likes! 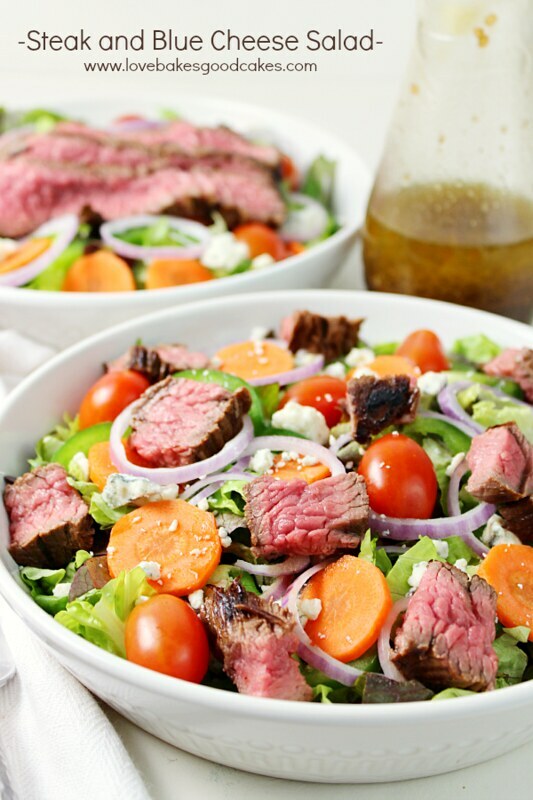 I hope you will give this Steak and Blue Cheese recipe a try – who knows, you just may be enjoying blue cheese made with Arizona milk! Yum! If you are interested in learning more about dairy farms in Arizona, be sure to check out the Dairy Council of Arizona’s website. 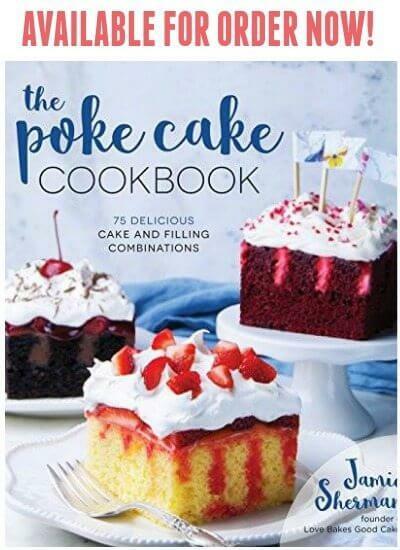 You can also find some pretty awesome recipes over there, too! Of course, you can catch the latest news or see more delicious recipes by following the Dairy Council of Arizona on Facebook, Twitter, Pinterest or Instagram! 1. In a large zip-top bag, combine all of the steak ingredients except the flank steak. Holding the top of the bag with one hand, gently squeeze the mixture with the other hand to combine. Place the flank steak in the zip-top bag, seal the bag squeezing out most of the air. Let the steak marinade for 30 minutes or up to 8 hours, turning the bag over at least once. 3. Lightly oil the grate. Remove steak from marinade and place on grill, discarding marinade. Grill for 3-5 minutes per side, or until desired doneness is reached. Remove the steak from the grill to a cutting board and let rest for 7 minutes. 4. Meanwhile, whisk together the salad dressing ingredients in a small bowl. Set aside. 5. Once the steak has rested, cut the steak into thin slices. If desired, cut into bite-sized pieces. 6. Divide the salad ingredients between 6 plates. Add pieces of beef. 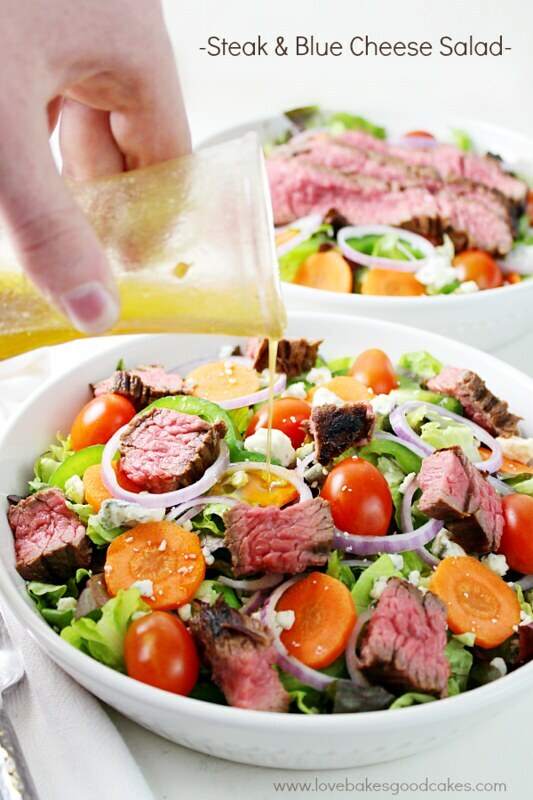 Top with a drizzle of the prepared dressing. Serve immediately! 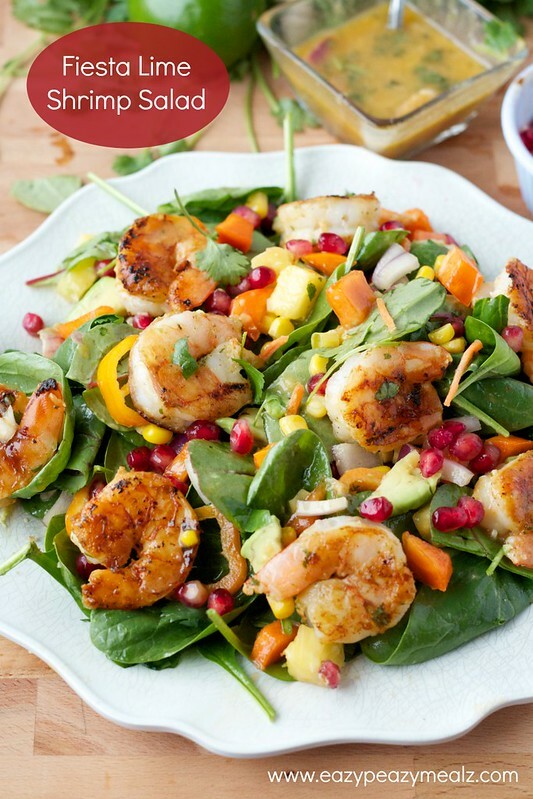 Perfect for a low carb diet and DELICIOUS! I just pinned it to my low carb recipe board. Come over to my party to share it? See you there. You make the best salads, Jamie! So colorful and pretty! 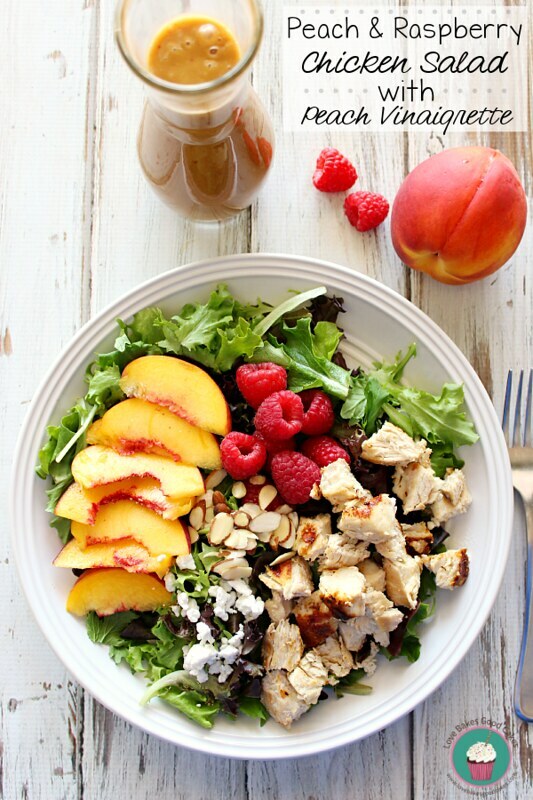 What a beautiful healthy salad. Pinned! My kiddos had a blast watching the cows! 🙂 Thanks so much for stopping by ,Lisa!